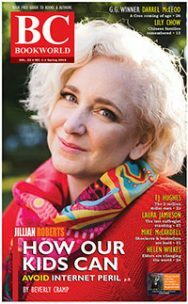 Alongside Malcolm Lowry, singing in the highest choirs in B.C.’s literary heaven, resides a sensitive, alcoholic genius named D.M. Fraser. Hardly anyone knows he’s up there. Born in New Glasgow, Nova Scotia, in 1946, the only son of a Presbyterian minister and a high school teacher, Donald Murray Fraser grew up in coal-mining towns, particularly Glace Bay, and came west in 1967 to escape his background and to attend UBC. Instead he developed his astonishingly original prose style and published his first book of short stories, Class Warfare (1974), with Pulp Press, a loose, literary, left-leaning and self-mythologizing collective for which he served as an editor. Gentle and soft-spoken (his speech could be inaudible or slurred), Fraser was renowned as an habitué of east-side Vancouver bars. For many years he lived above a junk store at 28th and Main. In the wee hours he transcribed his estrangement into writing binges that culminated in a second brilliant collection, The Voice of Emma Sachs (1983). At the invitation of editor Bob Mercer, he wrote the short-lived column “Manners” in the Georgia Straight, and he also published infrequently in other small magazines. He succumbed to a lung infection at age 39 in 1985, unable to complete his novel called Ignorant Armies. It was later edited by Bryan Carson and released in 1990. Also released posthumously was D.M. Fraser: The Collected Works, Volume One—Prelude (1987). Fraser’s appearance in Alan Twigg’s overview of B.C. literature, The Essentials, is representative of literally dozens of accomplished fiction writers who could have been included in this book without much debate. DM Fraser. Photo by John Reeves. Born in New Glasgow, Nova Scotia in 1946, the only son of a Presbyterian minister and high school teacher, Fraser grew up in coal-mining towns, particularly Glace Bay. He took a B.A. at Acadia University and came west in 1967 to escape his background and attend UBC, but he left academic studies to become part of the collective that established Pulp Press. He lived for many years above a junk store at 28th and Main. At the invitation of Georgia Straight editor Bob Mercer, he wrote the column Manners in the Georgia Straight, and was published infrequently in other small magazines such as Alive, Parallelogram Retrospective and Rough Beast. 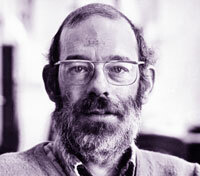 During his lifetime he published two critically acclaimed short story collections, Class Warfare (Pulp Press 1974) and The Voice of Emma Sachs (Pulp Press, 1982). He died at age 39 to a lung infection in 1985, unable to complete his work on a novel to be called Ignorant Armies that was commenced in 1978. This manuscript was edited by Bryan Carson, a friend who had met Fraser at UBC in 1966, and released as Ignorant Armies (Pulp Press, 1990). Also released posthumously was D.M. 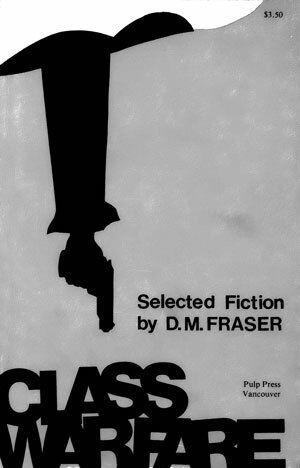 Fraser: The Collected Works, Volume One — Prelude (Pulp Press, 1987). A 25-minute film derived from Fraser’s story called Marie Tyrell has been made by Vancouver filmmaker Flick Harrison. 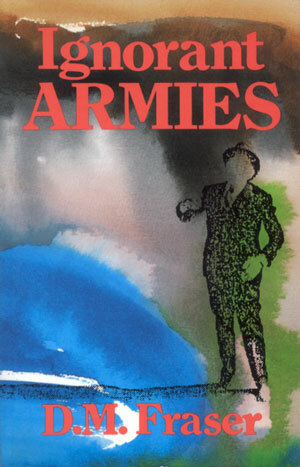 Ignorant Armies (Pulp Press, 1990). D.M. 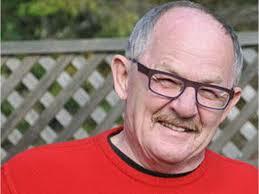 (Donald Murray) Fraser resides in B.C.’s literary heaven alongside Malcolm Lowry, singing in the highest choirs. 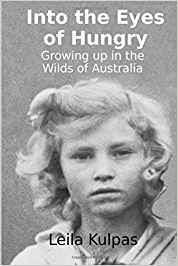 He left university to develop an astonishingly original prose style and to publish his first book of critically acclaimed short stories, Class Warfare (1974), with Pulp Press, a loose literary and sometimes left-wing collective for which he served as an editor. 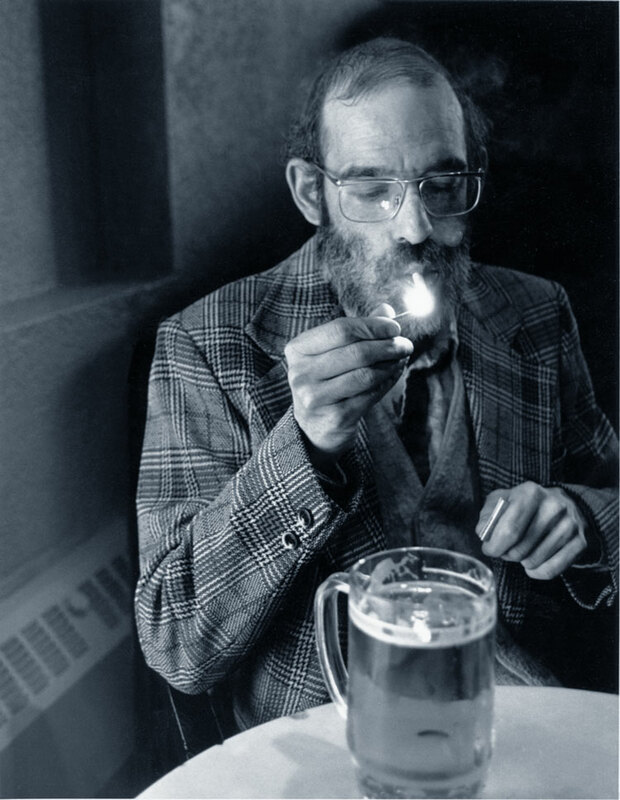 A gentle habitué of east-side Vancouver bars, Fraser transcribed the soft-core apocalypse in writing binges that culminated in his brilliant second collection, The Voice of Emma Sachs (1983). His posthumous third book, D.M. Fraser The Collected Works: Volume I Prelude (1988) was to be followed by a biographical memoir by Stephen Osborne possibly titled Ithaca: Remembering D.M. Fraser. He was interviewed in 1983. T: What were the circumstances surrounding the publication of your first book, Class Warfare? FRASER: That was ’74. Pulp Press had been in business two years. I knew the original guys at UBC. Steve Osborne was in graduate school when I was. He was working for a company with a typesetting machine. He did one book all by himself. At some point he said to me, well, it’s about time we did one of yours. T: Did you ever finish your English degree? FRASER: No. I decided writing and working at Pulp Press was a lot more interesting than working with academics. I made a conscious choice to do the things I like doing. Writing is one of the things I like doing. So Class Warfare changed a lot of things for me. FRASER: Yes. When I was growing up in a small town in Nova Scotia, the notion that one could be a real, live writer was totally absurd. Being a writer was always something that other people did. It was a nice thing to fantasize about, or it was a nice hobby, but it was an inconceivable occupation. I was supposed to be a university professor. T: What was your family background? FRASER: My father was a Presbyterian minister. My mother was an English teacher. I’m a Nova Scotian Scot Presbyterian on both sides by ancestry, but not by conviction. Our household was fairly paradoxically conservative and progressive at once. I could read anything I wanted. Marx and Freud were available to me at an early age. There was no genteel censorship going on when it came to ideas. It was an intelligent household. We’d go for Sunday drives and get poetry recited. English Romantic poetry. T: Maybe one day you can do a takeoff on Flaubert’s Sentimental Education. FRASER: That’s interesting you should mention that. I’ve been working on and off on an essay of sorts describing my peculiar influences. It’s called A Literary Education. Flaubert’s book inspired it. Mine was an extremely sentimental education. It turned me into the kind of mushball I am now. Blame it all on that! T: Were you “the small boy with the big ears and the precocious vocabulary”? FRASER: I was indeed precisely that creature. T: When did you start realizing you didn’t want to be respectable and orthodox like a good Nova Scotian Scot? FRASER: About the age of ten. But I kept playing the game for an awful long time. I still do. When I go back there to visit. But it’s getting a little harder to bring off now. In fact, it’s so extremely hard to pull off that I don’t think anyone expects it anymore. but I go through the motions. T: This is Glace Bay we’re talking about. FRASER: Yes, Glace Bay. The best four years of my life were spent there. We moved to Glace Bay when I was about thirteen. I went to high school there. I love the place. I go back there every year. I belong to the Nova Scotia Writer’s Union. I regard myself as a Nova Scotian in exile. T: That’s also where Hugh MacLennan was born. FRASER: Yes. His house is gone now and they’ve turned the beautiful property into a Kentucky Ernie’s or something. T: Why couldn’t you be a respectable professor and live an orthodox life? FRASER: Because I get too much pleasure out of the alternatives. T: Is that why you came to Vancouver? For the alternatives? FRASER: I was a coward. This was the farthest away I could get and still stay in Canada. When I was twenty I had an offer to go to UCLA but the thought of moving to Los Angeles scared me. I had one of those scholarships you could take anywhere and do anything with. I picked Vancouver because it was far away and because I also had a romantic thing about the mountains. My father had been out here and told me stories. I grew up with a postcard image of the last frontier. T: There’s freedom here to be an individual certainly. It’s not formalized. FRASER: Yes. Toronto has no appeal. New York was too close to home. To a large extent, my expectations of Vancouver were met. It did turn out to be a place where you could create your own identity and do your own thing, as we used to say. You could experiment. It was just that point in the Sixties when being weird was no longer an isolated and lonely activity. That’s why I’ve always had nostalgia for that period. T: Would you agree you’re on the fringe of society looking in? FRASER: Well, it depends entirely on the kind of society I happen to be looking in on. T: But you once told me you hate going into the west side of the city. FRASER: I just don’t share the concerns of those people. If they have any. I feel like a trespasser. It’s not really a matter of being intimidated, it’s a matter of having to be on one’s guard. It’s that world that I can’t intuit. In what I think of as my own turf, I can get inside people’s minds with a great deal more ease. In a world where I don’t understand what they want, why they want it, what they enjoy, I have anxiety. T: Is this where the story “Dumbo Nelson” comes in? “When I get off the bus at Merridale Yard, I find it impossible not to picture convicts at their enforced recreation there, exercising, listlessly tossing a volleyball around because they have to”? FRASER: The actual False Creek place that I went to for that story was one of the low income units that they have for their token indigents. I wasn’t there for more than an hour. And I walked home through the development. I began to fantasize about who lived in the tonier apartments. I just invented it. Then I realized I had invented a character of whom I had no intuitive understanding or sympathy for. I began to feel guilty about that. Whey shouldn’t I be able to understand? I’d like to work in this area some more. Sometimes I think that story has the desire to become a novel. T: How do you think bourgeois readers would respond to “The purpose of all art is irrelevance”? Would they realize that can be construed as an attack on their values? FRASER: A lot of them would understand that from making a show of patronizing and responding to art. Art which is absolutely guaranteed not to disturb their sleep. It’s clever and entertaining and harmless in a way that I suppose Valium is harmless. It calms their nerves. They all do things that they probably don’t like very much to make the money that allows them to live as they do. I don’t begrudge them. But I like art to be extremely unnerving and moving. Some of my stories are funny but I want them to hurt a bit, too. I want you to be moved. But then I’m the sort of person who will go to a comedy movie and cry. T: But you never manipulate your reader with crises, like, say, the way a pop movie does. FRASER: No, it’s done in the form of a telegram. That is, ideally what I want is for people to fill in all the things that aren’t in there for themselves. This is the code, these are the clues, you write the story in your head. You use whatever materials you have from your experience. Interpret it, expand it, change it. If I put it all in there, I’m loading the dice. But I don’t sit there calculating effects. There’s very little premeditation in what I write. T: So you’re writing in a purely expressive state. FRASER: But I do polish and revise afterwards. Let’s just say it’s a relief to have only the typewriter to talk to. It doesn’t talk back. I’m not very good at communicating with people. And conversation doesn’t give you the opportunity to revise, or to pace around for an hour. You can’t have three voices going on at once when you’ve only got one mouth. T: Your second collection of stories, The Voice of Emma Sachs, is described as a “suite of stories.” Was that your idea? FRASER: Yes. It’s a musical catalogue. I wanted to see it in a musical sense. As a concert. T: Does that explain why you put the title story last? FRASER: Yes. Behind which hangs a tale. Co-op Radio was holding one of their fund-raising marathons. They asked me to read a story live. I’m really nervous reading. But for some fool reason I agreed to do this. Then I forgot about it. The day of the marathon someone phoned me to remind me I was due to go on live that night. I didn’t have anything that I wanted to read. I didn’t want to repeat anything. So straight off the top of my head I wrote Emma Sachs. I wrote it in the beer parlour on scraps of paper and a pocket diary and anything else I could find. Stumbled down to the studio. I was five minutes late. They had just about given up on me. Got there. Read it. Made half of it up as I went along. I had scraps of manuscript. Then one night when I was totally broke I was in the Niagara. I was sitting at a table with people who were far, far from being broke. This got my dander up a bit. I said, look, if you aren’t going to buy me any beer, I’ll just have to sing for my supper, won’t I? I read it again. I had it in my pocket. FRASER: It’s not necessarily a quote I want to send home to mother. T: But is it true? FRASER: Probably. I enjoy drinking. The stories come into my head when I’m relaxed enough. Alcohol is the relaxant. T: Alcohol is supposed to be a depressant. FRASER: Not to me. Lack of alcohol is a greater depressant. T: So alcohol is more of a blessing than a curse. FRASER: Yes. As long as it doesn’t incapacitate me to the point where I can’t see the typewriter keys or read the words. But I very seldom get to that point. People tend to exaggerate drastically the amount I drink. I resent that. I’m not Bukowski. It gets in the way. Whenever anything about my personal life becomes an impediment to what the words say, then I get annoyed. I don’t care what anyone thinks of me personally but I do care what people think of my writing. If that stuff sets up a smokescreen then I may as well not write. Read what the book says. Don’t worry about what I do in my spare time. When I die I’ll let you know. T: Now there’s a quote for posterity. FRASER: Meanwhile, why publish a book if people are just going to use it as a lever to get a bit of moralism out of it? When I look around this room, probably half the people in this bar drink more heavily than I do and screw up more drastically than I do. And who pays the slightest bit of attention to them? But I publish a book and the picture of a dilapidated lifestyle becomes a barrier to reading the book. That’s not what I want. T: Do you see differences between Class Warfare and Emma Sachs? FRASER: Well, I hope the newer book is less self-conscious. I would also like to think it’s more accessible. One does tend to change a bit. Off the record, there might be a reason for that. 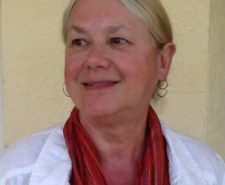 In between Class Warfare and Emma Sachs a lot of other aspects of my life changed. I got to know any number of people outside the literary world. At Pulp I was defensive sometimes. Life has changed to the point where it’s not necessary to be defensive anymore. I’ve made friends with people in areas that I never would have dreamed of getting near ten years ago. And finding myself at home there. T: When you were writing your “Manners” column for the Georgia Straight, I understand you always wrote your columns at the last minute to meet the deadlines. FRASER: That’s how I write. I improvise. The stories in my books are mostly improvisations. Often I meet someone and it sets off a chain reaction. Or else they’re triggered by the recollection of a meeting. A lot of the events themselves never happened. A lot of the characters never existed in this world. I don’t know how it happens. That’s partly what makes life interesting. One part of me can be sitting there thinking “this is material” but the stories always turn out different than I expect. T: Do you ever plan a story? FRASER: I have done but I find it inhibiting. I have a novel that I’ve been working on, and off, for years, and it’s so structured that it plugs me in. I have to do it. But there isn’t the spontaneity and the enjoyment of the freedom to improvise. With Emma Sachs I had an advantage. I typeset most of the book myself. I could make last minute changes. I could improvise on my improvisations. Most of my colleagues didn’t get to see the manuscript until after it was published. I could have got away with murder in that book. And maybe I did. T: Do you try to write every day? FRASER: I don’t have the discipline. When I get excited about something I’ll write. I’ll write every day and all night until it’s done. But weeks go by when I don’t put a word on paper except maybe a letter home. I wish I had the powers of concentration to get up in the morning at seven o’clock and write until eleven the way Updike or somebody like that does. Wouldn’t that be lovely? But I like to be surprised. My non-method does surprise me. Once Interface solicited a story and I thought, oh, I can’t be bothered. I hadn’t been writing anything for a couple of months. I was very depressed about the possibility of never doing anything again. All of a sudden the first sentence came into my mind one afternoon. The story was “The Jardine Exhibition.” It wrote itself in about two days. FRASER: I can’t stand rum. But I do like the St. John Passion. T: From these stories it seems you have almost evolved a doctrine of inaction and observation. You’re not an activist. You’re radically passive. FRASER: Well, I’m not going out and bombing things. But I take action when I sit at the typewriter. That’s about the only action that I know of that I’m any good at. FRASER: It would be a start. T: Does that amount to a personal philosophy? FRASER: Well, I guess I just want my bad character to be left in peace and I will happily leave anybody else’s bad character in the same kind of peace. I wrote the story “Estchatology” after an evening of being talked to for hours by new converts to EST. They were very nice people, terribly sincere and terribly devoted to their cause. All my problems, or what they imagined to be my problems, were going to vanish if I joined the movement. And I thought, I kind of like my problems, such as they are. They’re pretty minor in the reckoning of the world. This world in which people are dying and starving and living in utter squalor. Anything that goes on in my life is pretty small potatoes. T: There’s an interesting tension in “Estchatology” between humour and resentment. FRASER: Well, I wrote it to poke a bit of fun at those people and also to exercise my sense of being intruded upon. I like people for what they are if I like them at all. And I certainly don’t want anybody to subscribe to some idealized version of themselves that they have or I might have. So if there’s a moral in that story, that’s roughly what it is. It’s weird how the story came about. It was Labour Day weekend. It was the Pulp Three-Day Novel Contest. I was going to write one. I started to write one and then I went down to the bar. Then I realized I couldn’t do a three-day novel to save my life. But I went home and wrote anyway. The story “Estchatology” just came out. T: There’s a mixture of extreme tolerance and extreme critical mindedness in your books which I think is very unusual. T: Exactly. That’s the friction, the rubbing of opposites, that creates the work. FRASER: I can’t be intolerant of what I love but what I love doesn’t necessarily conform to my ideas. My ideas are the intellectual part that got trained to observe and judge. That was what the education was for. That part of me is still very much extant. But it has nothing to do with what I respond to as a person. It has nothing to do with what I will enjoy and from whom and why. It could be a constant battle except I don’t regard it as a battle; I regard it as a constant sort of play, a tension. This self-analysis makes me nervous. But the society in which I grew up was repressive psychologically. I was taught to keep my feelings to myself. To be reserved and reticent. Boy, that training took. There are periods when you can overcome it and there are periods when it closes in and you think, my god, I’m giving too much away here. But writing, that’s what it’s for. You have to give it away.